Photo included in the multi-awarded book Dream State. Stavros Messinis was interested in literature and photography from a very young age. While studying journalism in Athens, he felt more seriously inclined to express himself poetically, with the political and social developments in Greece and around the world at that time playing a major role in both his decision and his creativity. At the same time, he started delving into the world of photography; he bought a Pentax camera and was experimenting and taking photos at various events, demonstrations and the life in the streets. He would also spend a lot of time in a small darkroom in his Athens apartment, developing films and processing his photos. “We had the best journalists, university professors and politicians as teachers,” Messinis says reminiscing his times at the School of Professional Journalism. “It was actually Neos Kosmos that invited me to come to Australia,” he reveals. A writer and film photographer at the time, it wasn’t until he finally relocated Down Under that he began painting and drawing. Regeneration XIV – One of the three images from the Regeneration series that are finalists in the ‘CLICK 19 Photographic Prize’. “When I began my university studies in Australia, it was difficult at the start, as I had to adapt to the new education system whilst I had to work full time. By experimenting and studying various techniques, I became fascinated by abstract expressionism and surrealism,” he says; styles that transcend his work to this date. In wanting to express himself in more than one dimensions, the multi-disciplinary artist uses various techniques and elements from all forms of art he practices. “And I am happy with the results,” he says. And how could he not be content when he receives one accolade after the other? Still, in his third year of studies in photography, his new photographic book ‘Dream State’ received the ‘Best Photobook Design Award’ in the Centre for Contemporary Photography of Australia’s competition. “In December last year my book ‘Dream State’ won the prestigious ‘Best Photobook Design Award ‘at the ‘Ilford Salon 2018’ organised by the Centre for Contemporary Photography (CCP),” he explains. Messinis’ book, along with those of the other 12 finalists were recently displayed in a special exhibition at the CCP, that will travel to photo festivals in NSW, Queensland and New Zealand. His book was also displayed at the Melbourne Art Book Fair of the National Gallery of Victoria last weekend by the Photography Studies College (PSC), where he studies. Photo from the multi-awarded book Dream State. 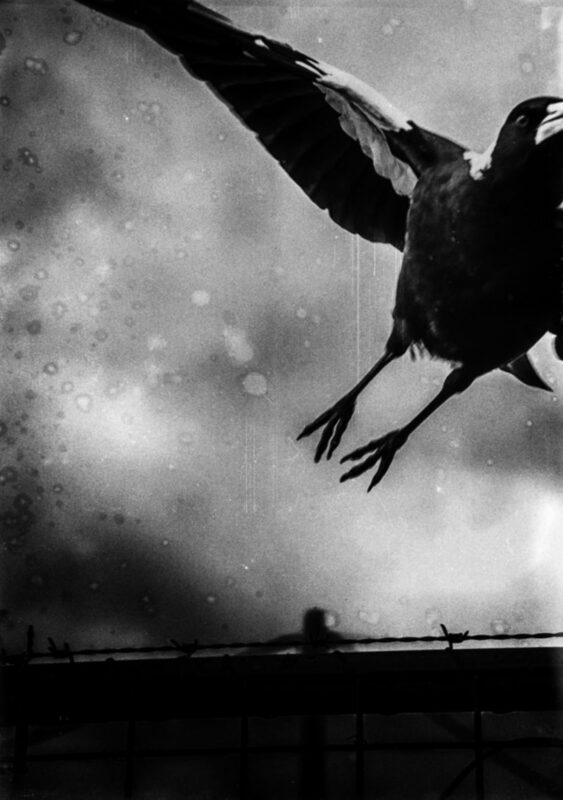 “Dream State started as a personal style development project at PSC and I considered it is a visual poetic composition published in book form,” he says, adding that he drew inspiration from surrealism and the work of photographers like Man Ray, William Klein, Francesca Woodman, Michael Akerman, Daisuke Yokota and Daido Moriyama. To portray that, during the post-production process of the images, Messinis employed various techniques, including printing and re-photographing the images. “I also used extreme high contrast, blur, motion, grain, dust and scratch filters. By using a black and white palette and processing images with a variety of techniques, I attempted to give another dimension to my photography,” he says. The artist also just got shortlisted for the ‘CLICK 19 Photographic Prize’, with three images from his ‘Regeneration’ photography series which will be exhibited at the Brunswick Street Gallery. In ‘Regeneration’ series, he explores the role of photography in representing reality and at the same time uses painting and photo development techniques to reconstruct his images and give them a new life. Meanwhile, Messinis was recently awarded second place in the Fifty Squared Art Prize 2019 at the Brunswick Street Gallery for his piece ‘Sovereign Sun IX’, which is part of a solo exhibition in a few months. The ‘Sovereign Sun’ series belongs in an ongoing exploration of abstract photography and poetry examining the possibilities of abstraction, colour, light, space and minimalism through the photo-media. “There are some organisations and art galleries that support artists in various ways; Brunswick Street Gallery is one of them,” he stresses. Sovereign Sun IX – The winner of the second prize of 2018 Fifty Squared Art Prize. The ‘Sovereign Sun’ series was inspired by Messinis’ poetic composition ‘Έαρ το Πρώτο‘ (Spring, the first).  The artworks in this series are combined with intensely coloured circles, minimalistic colourful compositions that depict light, its spectrum, and the chromatic effects of its separation. “Based on actual photos of the sun taken at the terrace of the Hamer Hall of the Arts Centre in Melbourne, the photos were transformed in digital post-production to new non-representative visual forms, that represent their own reality,” he describes. If it sounds poetic and mesmerising, it is probably because it is. Constantly experimenting on photography in relation to painting and poetry is Messinis’ second nature, a nature drenched in the hues of Informalism, Abstract Expressionism and Surrealism..
“I am going out and I always carry my camera with me, and I shoot things that I find interesting,” he muses. “I read a lot about art, I visit galleries and I study and follow the works of artists I like. I collect art-books and photo-books and I revisit them often for inspiration. 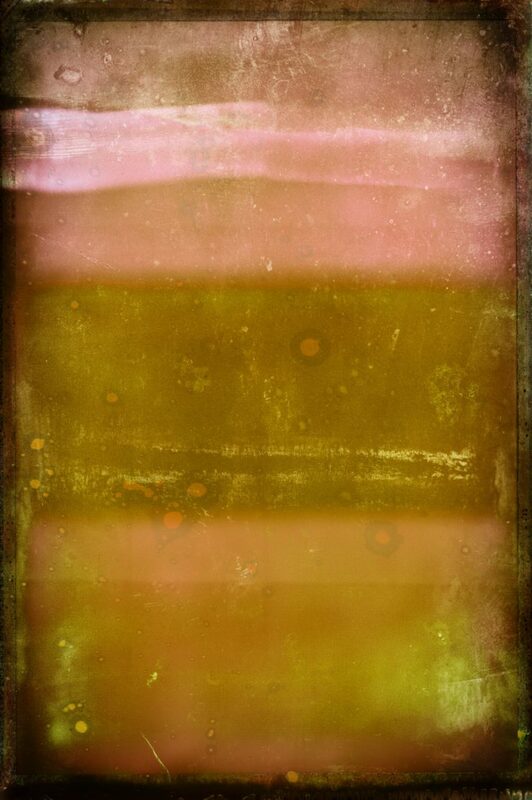 In a new series I am working now, I expanded the power of the camera lens by adding some special filters I developed,” he enthuses. Has his Greek identity influenced his work? Of course. “I believe the way you express yourself as an artist, is always influenced by your background,” he says. “If you did not live in Greece you cannot feel 100 per cent these works,” he highlights. But isn’t art a universal language? For the Greek Australian artist, the question “what art is” remains unanswered. “There are many theories and perceptions about art,” he believes. Catch him at the ‘CLICK 19’ finalists’s exhibition at the Brunswick Street Gallery, from 12 to 28 April 2019.